I played a session yesterday with these settings and it worked very nicely. In this screenshot every statistic has three colours. 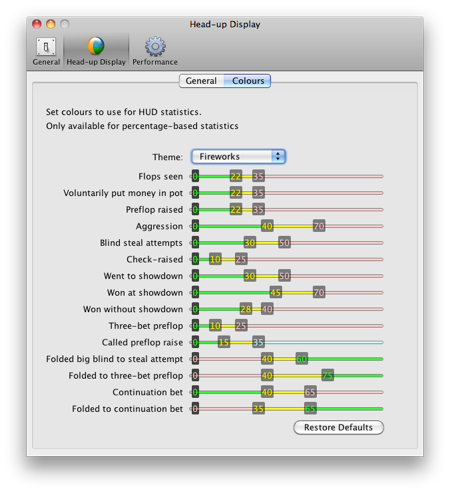 Note, however, that this is not a hard limit – you can have as many coloured marks on each statistic as you choose.